How do I get directions to my child's location? Bark's check-in feature make managing your child's location a breeze. There are times when they go to the mall, a friends house, or out to the park when you want to make sure they've arrived safely. With a single click, your child can check-in their location to let you know they've arrived safely. 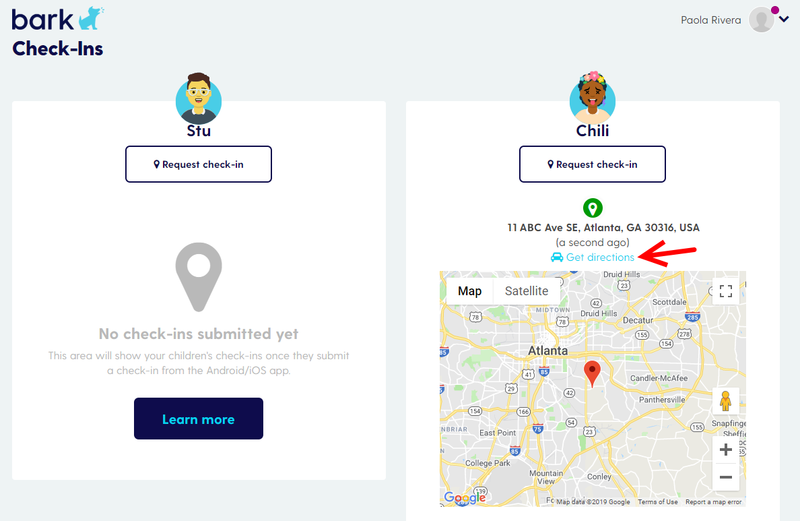 Check-ins are also a great way to get your child's location when they need to be picked up. Have your child check-in and use Bark's directions link to calculate the best route to your child. 3. You will then be brought to the Google Maps directions page that you can use to navigate to your child's location!